This morning I was looking through pictures from my walk on Sunday and settled on a theme of passageways. This has a much deeper meaning to me as I heard of the passing of one of my former students this morning. This red lantern is in a memorial hall for a painter who worked near the Old Chinese Bridge that I shared pictures of earlier this week. 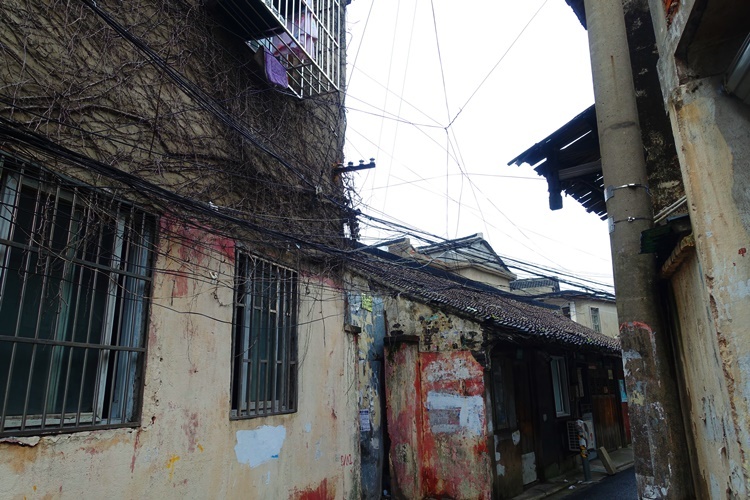 The area is full of little alleyways and some of them are quite interesting. I like this row of red lanterns. There is so much of life in this picture if you look closely. 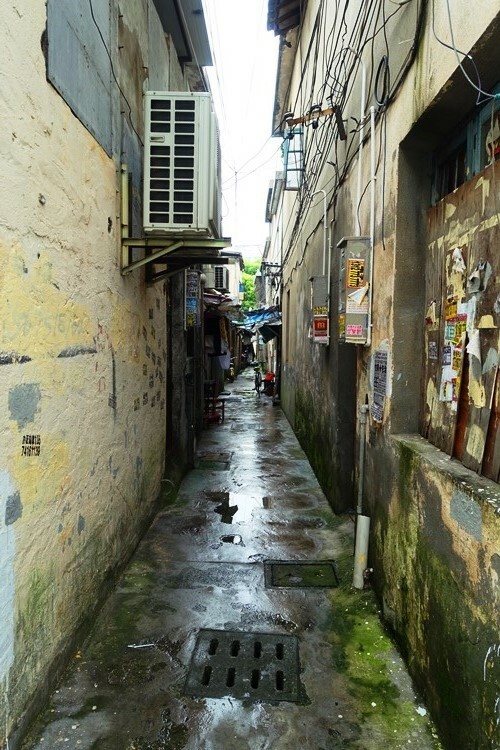 This alleyway is much narrower and not as colorful. However, it shows how close together many of the building are in this area. 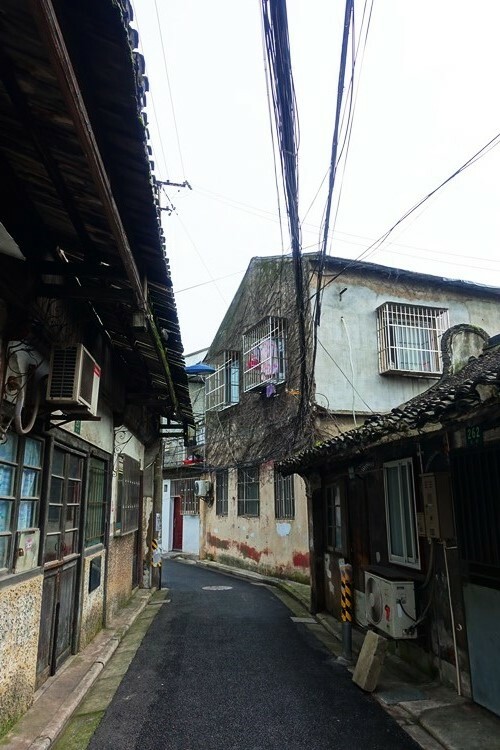 Here is a small street with some old buildings. What I find interesting in this picture are the power lines. Especially the fine network that is silhouetted in the sky. 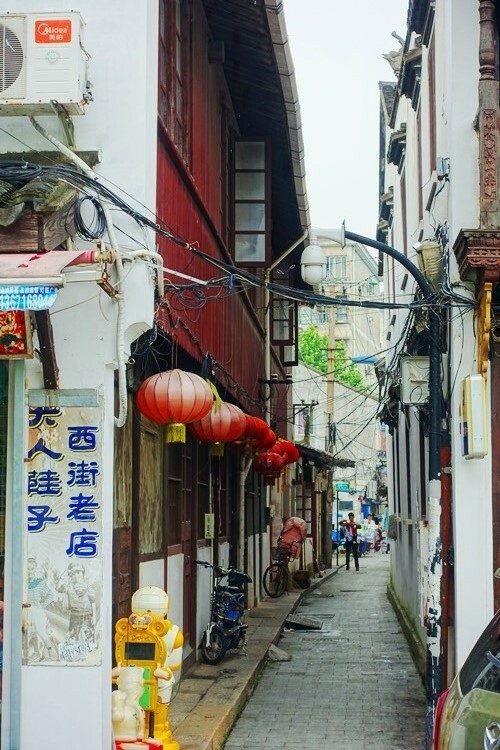 Like in many countries, China has great contrast between the old and the new. It was nice to see much more of the old on Sunday. 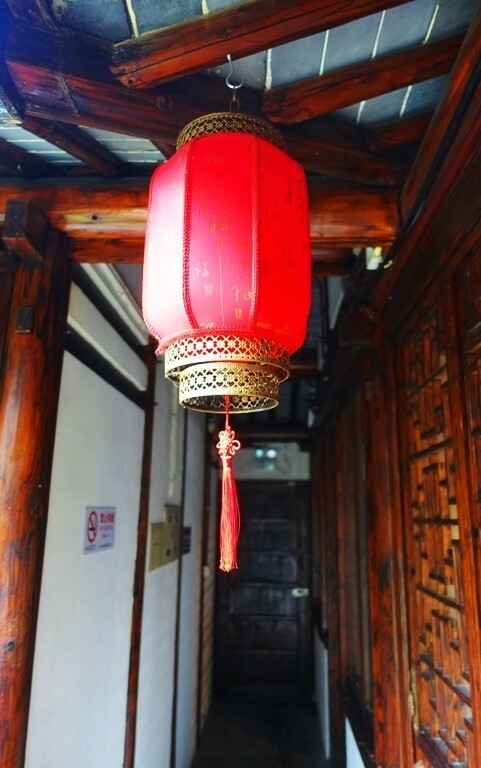 This entry was posted in China, Culture, Travel and tagged alleyways, memorial hall, passageways, Power Lines, Pudong, red lantern, Shanghai. Bookmark the permalink.